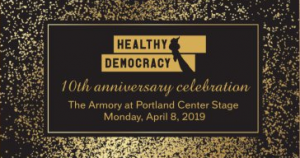 Join us on Monday, April 8, 2019 at The Armory at Portland Center Stage for our 10th Anniversary Celebration! Drinks for Democracy . . . Election Night Edition! Join us on Tuesday, November 6 at 6 p.m. at Oregon Public House for our second-ever trivia night, Drinks for Democracy: E Pluribus Brewnum . . . the Election Night Edition! 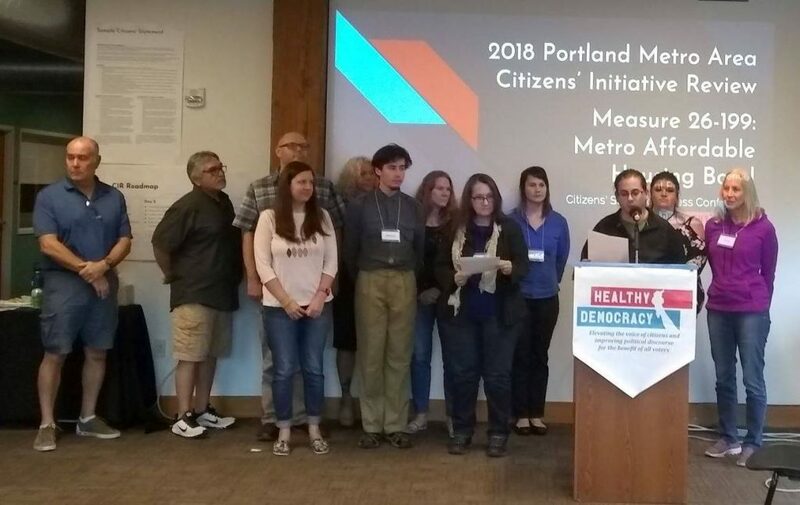 Join us for to learn about the Measure 26-199 Citizens’ Statement, as information for voters by voters, as it is presented at various CIR Community Information Meetings throughout the Portland metro area. Join us on Tuesday, June 19 at 7 p.m. at Oregon Public House for our first-ever trivia night, Drinks for Democracy: E Pluribus Brewnum. Join us 9am-3:30pm, April 14th, 2018 for "Bringing Participatory Budgeting to the Portland Region", a one-day community forum to learn from PB innovators with experience in Seattle, Oakland, and Boston and discuss the possibilities for our communities. Join us Nov. 4, 2017 for a celebration of Healthy Democracy’s newest program, Community Oregon, our connection and exchange program building bridges across Oregon’s urban and rural divides. Free expo led by program participants at 3pm; $25 dinner at 6pm.